Anyone heard the latest single from Michael Kratz featuring Dom titled “Never Take Us Alive”? Interestingly enough, we didn’t hear about the single from Dom himself, but instead we caught it “through the grapevine”, and Amanda alerted me while I was…yes again…deep in the forests of Southern Washington. It is a miracle I had cell coverage, but no wi-fi, and unless I wanted to risk life and limb downloading it while using our (VERY!) limited data plan that has to be split between five family members, I had to wait until I got home to download and listen. I tweeted Dom a few times about this, trying to get him to come out from under his rock (or out of his studio) to share the news of the single, to no avail. Turns out, I think he’s traveling. Having a holiday with family, as if that’s a thing or something. <wink> I did finally see a tweet from him announcing the song on release day, and that was it. Seems to me he needs a PR person, or at least someone well-versed in social media to help him with this stuff. 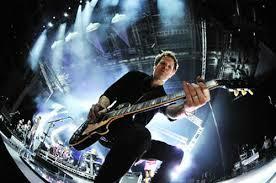 I know Dom works a lot outside of his Duran Duran touring, and produces for a lot of people. Seems to me he could really publicize far more than he is in order to help make a bigger name for himself…but what do I know? I merely write a daily, very-well read, fan blog that Amanda and I built from the ground up. I’m bad with names sometimes, but I couldn’t make a connection to Michael Kratz. So I searched for some basic information. Turns out, Michael Kratz is Danish, and has done session work over the years. He has several albums out in a style called west coast—a style attributed to the coast on which I live in America—and I’ve never heard of it before now. According to westcoast.dk, it’s a style that emphasizes melody, harmonics and arrangement. When I listen to Michael’s music, I hear heavy 1980s pop with lush electronic backing. It vaguely reminds me of some electronic musicians I’ve seen that tend to play small venues, and it’s usually just themselves and their keyboard set-up, but Michael’s work seems a bit more complex with far more dimension. It’s still very pop compared to anything on our radio these days. I have a feeling that west coast music is one of those styles that is popular in other parts of the world, unbeknownst to those of us who live here…and so the rest of the world might think everything we listen to here in California sounds that way. Kind of like how most of the country (if not the world) thinks we all surf every day or have lunch with celebrities. Newsflash: we don’t. I haven’t been on a surf board since I was in my late teens, and using the word “on” is exaggerating, if you understand what I mean. I’m trying to remember the last time I saw a celebrity anywhere near me, and unless we’re talking Duran Duran….I think Teemu Selanne is the only one I can brag about. His daughter and mine were preschool chums, and my youngest is now nine. Aside from being puzzled as to why Dom didn’t take full advantage of those of us who would buy nearly anything he’s worked on, I was happy to hear some new music from him. I wasn’t really ready for the full blast back to 1987 or 1988 when I listened to “Never Take Us Alive”, though, I must admit. That took more than one listen to warm up to, and I don’t want to pan Michael (or Dom) for that, it’s the style – and it’s just very different from what I might hear on any of our radio stations in the US right now. Dom’s guitar cuts right through the melody, adding much-needed “guts and groove”, and he sounds like he’s having a lot of fun playing it too, which I appreciate. Yes, “Never Take Us Alive” is about as pop as you can get, reminding me of when I worked at (dating myself here) Millers Outpost (google it – the store was famous for having a denim “wall” in the back of the store and carried Levi’s 501s, an American clothing staple) in 1988. We had a stereo system in the store that played what felt like a revolving track of late 80s pop. Not a single The Cure or Duran Duran song to be heard, with endless hours of Lionel Richie, Steve Winwood, Terence Trent D’Arby (if I ever hear “Wishing Well” again…), Jermaine Stewart, Richard Marx, and so on. You get the idea. I quit working there after three very long months. I wonder why? Rambling again…this is what happens when someone stays up until after 1am, watching The Killers concert stream from Las Vegas, I suppose. I need coffee. Regardless, after many listens, I’ve decided the tune is catchy, and I’m starting to find myself humming the tune and knowing some of the words. Dom’s guitar adds exactly the right touch, and I love hearing his groove in the background, adding backbone and structure to a song that I have to admit would be incredibly shallow otherwise. It is worth the $1.29 download just to hear what he’s worked on. Sometimes it is easy to forget that Dom is a very accomplished session guitarist because he’s been with Duran Duran for so long. I will brag about him to anyone who will listen (or read!) and say that his session playing has improved a hundred-fold since I first started checking him out. I can hear the emotion and enjoyment in his playing, which can be challenging to do as a session player. I only wish he’d let some of us help him publicize and brag about him a bit more! 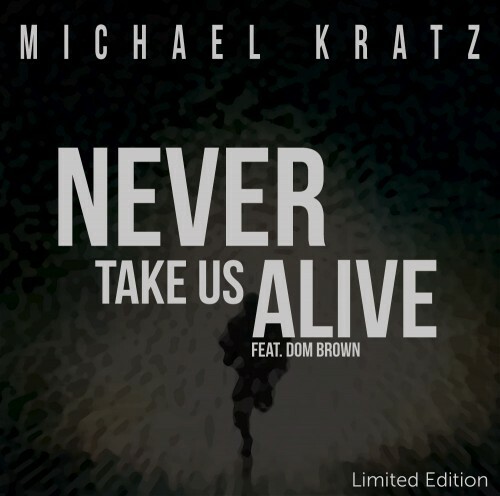 Get your copy of Michael Kratz “Never Take Us Alive” on iTunes! Click on the photo to go to iTunes. Today is a very special day, and I am thrilled that it fell on one of my blogging days. 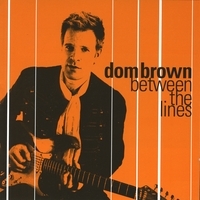 On this date, eleven years ago – Dom Brown played his first gig with Duran Duran! Has it really been that long?!? I don’t know where the time goes, but I’m glad that in this past year I’ve been able to see Dom play four times – not too bad for someone who lives across the Atlantic from him. Normally, we don’t take time to celebrate anniversaries for each of the band members because we might not know the exact dates that each of them entered the band, but Dom is special because although to many of us he’s a permanent fixture, he was a gift that was discovered along the way. I’m thankful the band found and had the good sense to hire him because I can’t imagine a show or an album without his presence. I was recently asked who my favorite band member was – the scenario given was that the band was in front of me, who would I go up to speak with first. 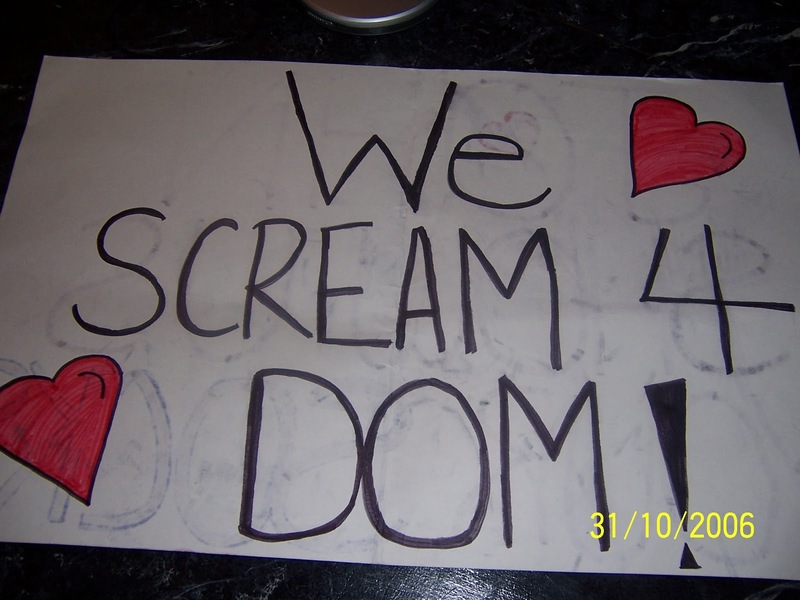 At first, without thinking – I said Dom. After admonishing that while Dom is a lovely guy, he’s not really a member she asked me to choose again. I really couldn’t. It’s not that I wouldn’t want to speak to any of them (are you kidding me?!?) it’s just that I couldn’t decide which one. I love them all, but they’re all part of the group I’ve loved since I was ten! 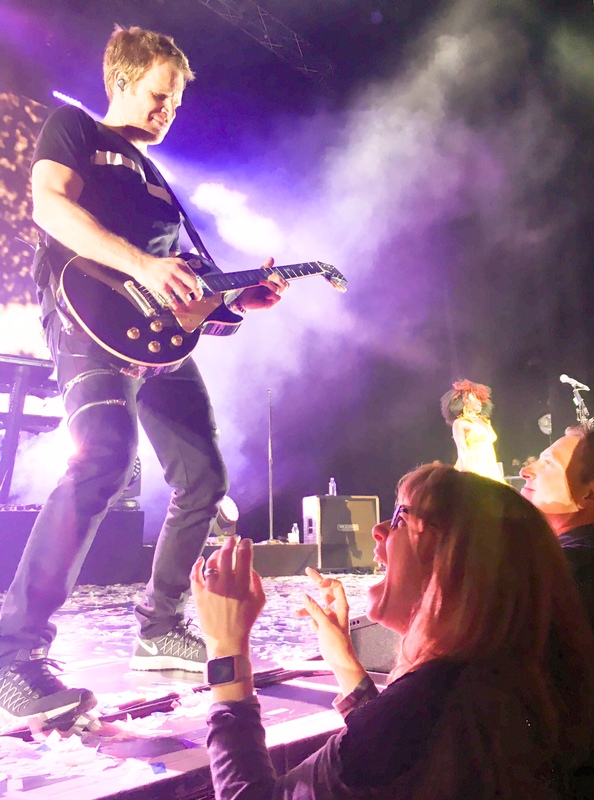 Dom is a little different since I met him some thirty years into my “tenure” as a Duran Duran fan, yet I’ve embraced him from nearly day one (I say nearly because I wasn’t at his first show!). To me, he is as much a part of the group as any of them, whether that’s right or wrong. There are at least a few fans out there who like to remind me that he’s “just” the hired player (a hired guitarist who has co-written a good many of their songs off of recent albums, I might add), but to me, there’s no “just” about it. Dom stepped in after Andy left, filling some incredibly large shoes. He’s had to take an awful lot of ribbing and complaining from long-time fans about how he plays some songs, and in a lot of ways, he’s in an impossible position. The Andy fans are convinced no one can play better than Andy, and the Warren fans are 100% convinced Warren needs to be back in this band. He’s not Andy, and no, he’s not Warren. Personally, I think being Dom should be more than enough. It’s been eleven years. 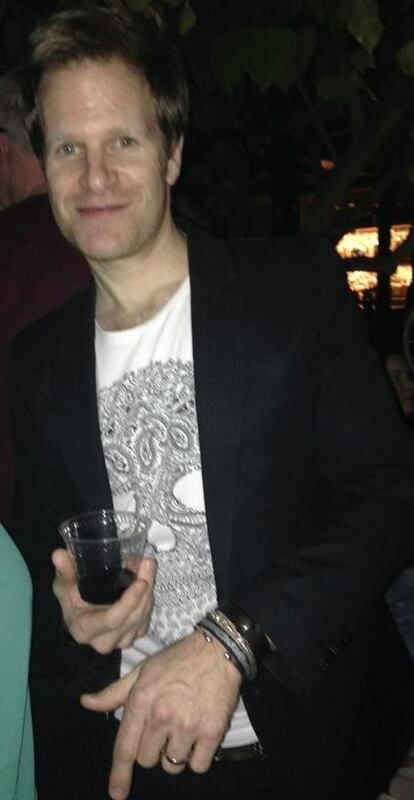 I say it every year to Duran Duran, but it’s time to make sure Dom doesn’t get away and make this guy part of the band. Officially. Give him some credit and reward him for sticking with you through so much and for so long. It’s way past time. Regardless, I couldn’t let this day go without sending best wishes and plenty of thanks to him. He’s a good guy, a very talented guitar player, and loved by many, including me. I’m glad you’re a part of this band, Dom and I’d miss it if you weren’t the one on stage playing Hungry Like the Wolf, Save a Prayer, White Lines (and all of the rest) during the gigs. 😀 You’re still the best!